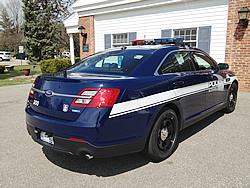 If you have a non-emergency matter that you would like to bring to the attention of the Village Police, such as a house watch request or that you would like to speak with a Village Police officer, please call the Police Dispatch Center at (248) 433-7755 for assistance or call (248) 644-5556 to leave a message for the Village Police. The Village continues to be a wonderful place to call home. We appreciate your efforts and extra sets of eyes to keep it safe and relatively free of crime; keeping your speeds down also helps. We must remind you to always be diligent; this means locking your home at all times (even when you are there) and your vehicles regardless of the time of day or how long it will be unattended, and ALWAYS take your keys with you. As stated before, a good rule to follow with your vehicles is do not leave anything in it that you simply cannot lose, be it cash, credit cards, personal information, or other valuables. Certain crimes are unrelated to where we live. We wrote in the last bulletin some ways to minimize your exposure to potential identity theft; unfortunately since that time one of the national credit reporting agencies, Equifax, reported a security breach where an estimated 143 million identities were potentially compromised. You may also consider googling “Equifax breach check” for additional web sites and recommendations. The following information is a reprint from our last bulletin; it is still very relevant today. There is no simple solution in preventing identity theft. About 15 million Americans were victim to some form of identity theft in 2016, which is about 6% of all U.S. Consumers. Even though there is no perfect “solution” to stopping identity theft, we suggest you take the measures that you can to protect your identity. You are the first and most effective line of defense. What can you do? • Check your credit reports — you are entitled to a free annual credit report from each bureau — to ensure all information is accurate. • Do not provide personal information over the phone, especially if you did not initiate the call. • Secure any document that includes personal information, and shred anything you do not need. • Secure Internet-connected electronic devices with virus protection software, and keep your software up to date. • Create unique passwords (a combination of letters, numbers, and symbols, and change them on a regular basis). • On your computer, don’t click on unfamiliar links. Use known websites from established companies and be wary of anyone who suddenly reach out on social media. • Avoid using checks, when possible. (they are full of personal information) Instead, use your financial institution’s bill pay service or other automated options. • You may also consider proactive identity monitoring services. There are many such services available. Be safe. Drive safe. Lock those doors. Lock your car and take the keys. Have a great fall season.